Irish media mogul Louis Walsh has revealed the X Factor judges have been warring more than ever this year, in the absence of Dannii and Cheryl. 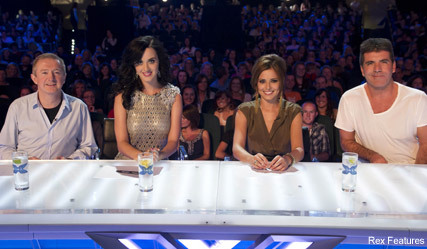 SEE ALL THE LATEST X FACTOR AUDITION PICS HERE! It seems the two girls usually keep their fellow judges in check, and after Dannii has taken time off to look after baby Ethan and Cheryl has been recuperating from malaria, the panel has descended into chaos. Revealing the atmosphere has been competitive, catty Louis let on he liked Katy Perry, but didnt get on at all well with Geri Halliwell, admitting their had been rows’ over contestants and ‘rivalry’ between judges. ‘Its been tense this year, not just because of what has happened to Cheryl,’ Louis told Star magazine. Revealing he was looking forward to Cheryls return, Louis praised the songstresss unfaltering glamour. ‘Everyone misses Cheryls glamour, Ive never once seen her look bad,’ he said. 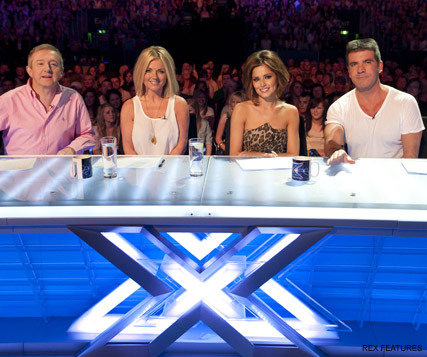 Who do you think would make a good guest judge on the X Factor? Let us know your thoughts in the comments box below. SEE ALL THE LATEST AUDITION PICS HERE!